All three Leeds delegations heading off shortly to Villages around the world gathered at Roundhay High School to learn the Morris Dance. They will perform this on National Night at Village. 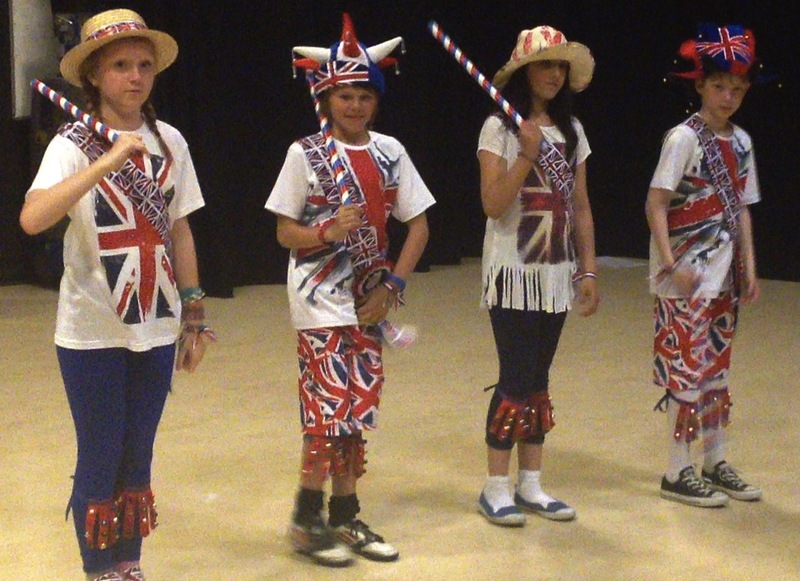 Like hundreds of Leeds children before them, they donned straw hats and union jack ribbons, tied bells to their knees and picked up their sticks. Thanks to industrious parents who have worked incredibly hard to produce great costumes, they all looked immaculate and ready to represent their city and country to children from other countries and cultures. Are you ready for Project GB 2015? Enter your email address to follow this site and get all the latest news by email.